Read this book and you will agree that if there ever was any One Who Flew Over the Cuckoo s Nest, it had to be Al Dickens the author of this book. Sometimes truth is stranger than fiction. Even nature produces the uncommon or the unique at one time or another, like the duckbill platypus. So it is with this book; it is a genuine paradox. It is strange, but true, that this book is filled with sane and sober truths that are presented in a most compassionate manner though at times it may tug at the hemline of our old and ragged ideological garments and worn out customs. Yet, it is never offensive. 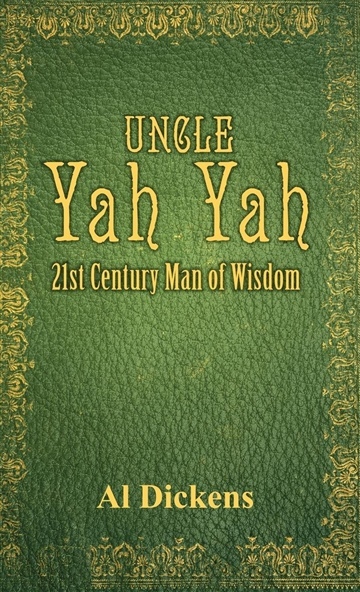 Uncle Yah Yah, you will agree it was a labor of love.